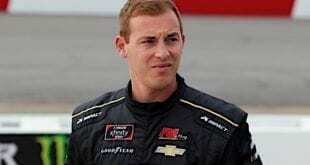 Martins Motorsports has announced a return to running part-time in the NASCAR XFINITY Series with driver Tommy Joe Martins. 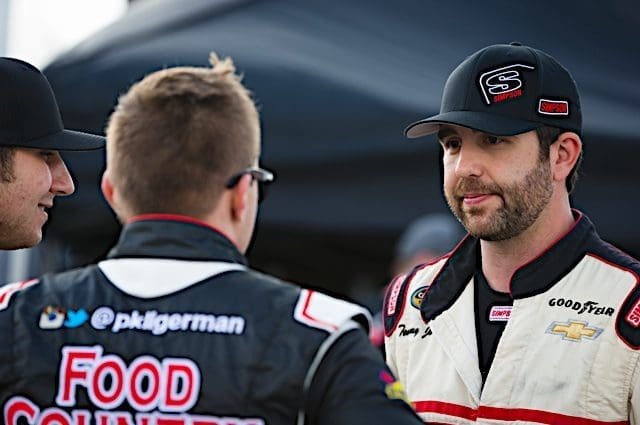 The change comes after fielding a full-time entry in the Camping World Truck Series last season. 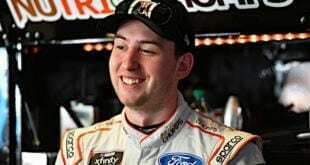 The team will begin at Bristol Motor Speedway in the Fitzgerald Glider Kits 300 on April 22 with Martins, who brings backing from long-time partner Diamond Gusset Jeans. Bristol will be the first of nine XFINITY race entries for the No. 45 team. The team plans to compete at both events at Bristol, Dover and Richmond. Additionally, single events at Chicagoland, Kansas and Indianapolis are on the slate. Kevin Eagle will serve as crew chief, a role he held on the Truck Series team in 2016. Additionally, the team will continue to run Chevrolet bodies as they did in Trucks. Martins Motorsports will be exclusively an XFINITY Series organization, as the team will end their Truck Series efforts. The only anticipated exception will be Aspen Dental 150 at Eldora Speedway when JR Heffner will return to the team in a one-race deal. Next week at Bristol will be the first XFINITY race for Tommy Joe and the team since a DNQ at Indianapolis Motor Speedway in 2014. In 11 career starts, he has a best finish of 14th at Talladega. In 27 Truck races, Martins’ highest finish was 15th last August at Michigan International Speedway. Martins has been vocal about the financial challenges that small independent team like his face. From that standpoint, the move made sense. Frank Velat has been an avid follower of NASCAR and other motorsports for over 20 years. He brings a blend of passionate fan and objective author to his work. Frank offers unique perspectives that everyone can relate to, remembering the sport's past all the while embracing its future. Follow along with @FrankVelat on Twitter.